Printing Press Business is one of the very lucrative businesses in Nigeria. However, it is a business that one shouldn’t dabble into unless there has been proper planning. There is also need for someone who is experienced in that area for practical assistance. The Printing Press Business Plan In Nigeria Is Updated And Can Also Be Used For Bank Loans etc. 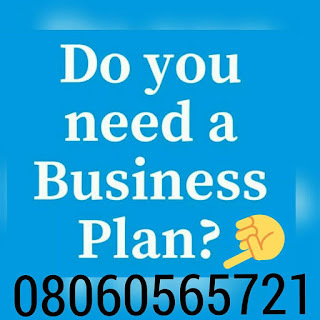 After payment text your name, your e-mail address and bank teller number to 08060565721 and you’ll receive your PRINTING PRESS BUSINESS PLAN / FEASIBILITY STUDIES PROPOSAL. Your printing press can produce a lot and render much services if you want it to. Your press can equally be involved in Large format Printing such as Flex Banners, Sticker for adverts, etc. As often said, integrity is the soul of business. The rate at which your customers are satisfied determines the rate at which your press would become successful. Therefore, you have to make sure that your customers get the quality of printing that they required and at the agreed time of delivery. Yes, time should not be joked with. Always endeavour to finish your work and deliver to your clients, on or before the agreed time. Customer satisfaction is paramount. All in all, you need to be reliable, as that would greatly increase patronage. Your work has to show quality. It equally has to be neat, and attractive. So pay adequate attention to the details of the work. To achieve this, you’ll need to take note of the following. 1)You need to be a good graphics designer. Endeavour to have the required skills to be one . It greatly contributes to the success of your business. 2)Make sure to use quality printing paper and materials for your work. It makes your work durable and attracts customers. 3)Have a quality printing output. These days, digital separation machine saves a lot of time and allows you to finish faster. As well as making your work to be as good as possible. After payment text your name, your e-mail address and bank teller number to 08060565721 and you’ll receive your PRINTING PRESS BUSINESS PLAN / FEASIBILITY STUDY PROPOSAL.